With this day, WE NOW COMPLETE the forty days of Lent. We enter the Paschal/Easter Triduum, the three days of Maundy Thursday, Good Friday, and Holy Saturday. During these days we meditate intently upon the mystery of our redemption in Christ. We celebrate His Passion and victory over the powers of darkness. We mark our passover in Him from death to life. The celebration of His death and resurrection is extended for the pentecost of days (50 days) stretching from Easter Day through the Day of Pentecost. The name of this day is derived from the Latin mandatum, “mandate.” On this evening in the Upper Room, Jesus gave His disciples the gift of His very body and blood for the forgiveness of sins through His Last Will and Testament. He has lovingly mandated that this Supper be celebrated in His Church until His return in glory. In demonstration of His sacrificial love and as an example of the humble, selfless service that we who are baptized into Christ are enabled to render to all, Jesus washed the feet of His disciples. As we eat the bread and drink the cup of this Meal, we proclaim the Lord’s death until He returns in glory, strengthened by Him to rise and live a new life in joyous expectation of that glorious Day. In preparation for this evening’s Service, please reverently meditate on Psalm 116:12-19. God the Holy Spirit bless us through the Word and Sacrament of Christ, to the praise of our heavenly Father. THE SACRAMENT OF CHRIST’S BODY AND BLOOD is celebrated on Maundy Thursday, at the Good Friday Tre Ore Service, and on Holy Saturday. In great love He was slain for us, and by His blood He ransomed us for God. As our substitute, carrying our sin, the Holy Lamb of God received the punishment that we deserve! And as He, Himself, cried out, “It is finished!” (John 19:30), the debt is paid! As we marvel at the forgiveness He won for us at Calvary, we also give thanks for the means by which He brings it to us still today. As we receive Holy Communion, guests who desire to commune are asked to speak with the pastor before the Service. We practice closed communion, as the Holy Scriptures have instructed. 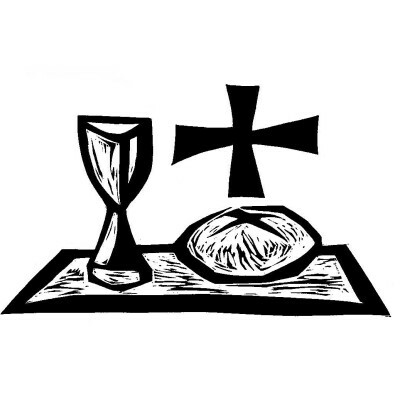 Visitors who know themselves to be in altar fellowship with the Lutheran Church–Missouri Synod and are desiring to receive the Sacrament are asked to first speak with the Pastor. All communicants are asked to fill out the “Record of Fellowship” booklet and prepare by considering the Christian Questions with Their Answers on page 329 – 330 in the Lutheran Service Book.